Can you believe it's Memorial Day weekend already? I figured this would be the perfect time to launch a new weekly series we will be publishing. 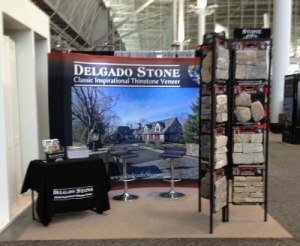 At Delgado Stone we are always reading and exchanging industry information. When someone finds and article they like, it's typically circulated throughout the company. This week we are sharing "5 Building Industry Stories" to help get you through Memorial Day weekend... in case you miss work. Delgado Stone is excited to announce that it will once again be attending the Architecture Boston Expo (ABX) being held at the Boston Convention & Exhibition Center, November 15-17, 2016.